Until and unless you have been living under a rock for the past decade, you know about Augmented Reality. After living in fables, literature, and cinema for a decade and being worked upon for even longer than that, AR was introduced to the world, at least to the mass market, only a few years ago. I think it would be unfair of me to say that it all started with Pokemon Go, so I won’t. But instead, I will say that the arrival of Pokemon Go was a crucial turning point in the story of AR because this was the first time this technology was used so immaculately and accepted so widely. This brought a lot of relevant attention to this technology, mobile app developers and users, and once people realized that this technology has finally reached a level of sophistication where it can be fused and used in other technologies, a trend started. 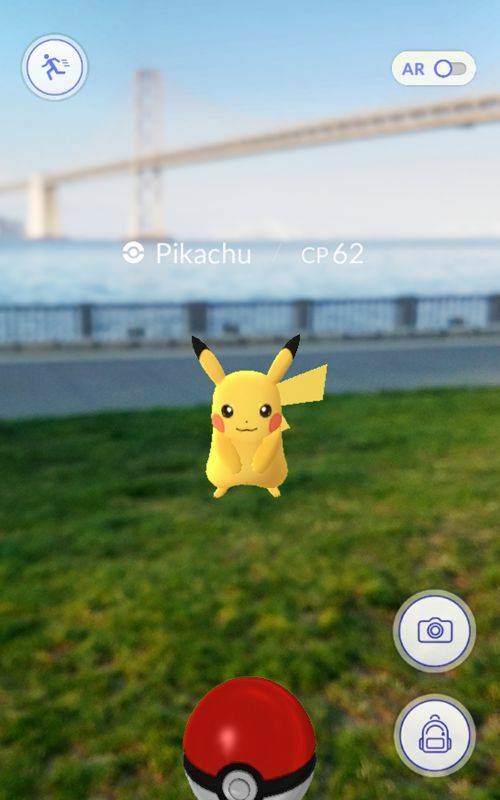 The turbulence Pokemon Go created in the marketplace forced all the industry leaders to rethink their products and try and figure out a way to use AR technology in them, even in the slightest. Because even they could feel that something new was starting, something which was to change the rules of the game. Apps like Google Translate, Mondly, Sketchar, and Ikea are the industry leaders in this technology, praised by both critics and the users. And if you’re thinking of creating an AR app like Ikea, then we are here to help you get started. Before we move any further, let us go over the basics of AR technology very shortly and see what it is? and how it works? Augmented Reality is basically a technique using which we add visual components to the world around us which we see through our camera lens. The technology reads your surroundings and based on the data received- angle, height, the distance of one object from other, depth, etc.- it places digitally created visual elements on them and make it seem as if they are really there. For example- A table in that empty space in your living room, a Pikachu that you often find in the street in Pokemon Go, that fake mustache on your face, etc.. It is fun, sure. But apart from the games and fun things it lets us do, AR has serious use in apps like Ikea where it actually helps you in selecting your furniture by letting you place chairs and tables and divans in empty spaces and allows you to see if the article suits the decor. While AR is often confused with its fellow industry buzzword- Virtual Reality, both of them are quite different things. For one, AR is only concerned with what you see through the lens of your mobile phone camera. The visual element will only be placed in the area which your camera can cover, and not an inch out of it. On the other hand, the idea behind VR is to transport you completely to a new place. And that includes creating a new environment around you, and really sell it to you by supplying sounds and smells in the experience as well. You can move, you can play, you can do anything in this virtual space. One of the greatest achievements in this direction is Oculus Rift. So it is quite clear that AR and VR are different breeds of magic. While both warps the reality and smudges the border between it and fantasy, only VR can completely transport you to another world, while AR is constrained to your camera lens and screen. What is Ikea and how it works? At the moment, Ikea has three digital platforms. 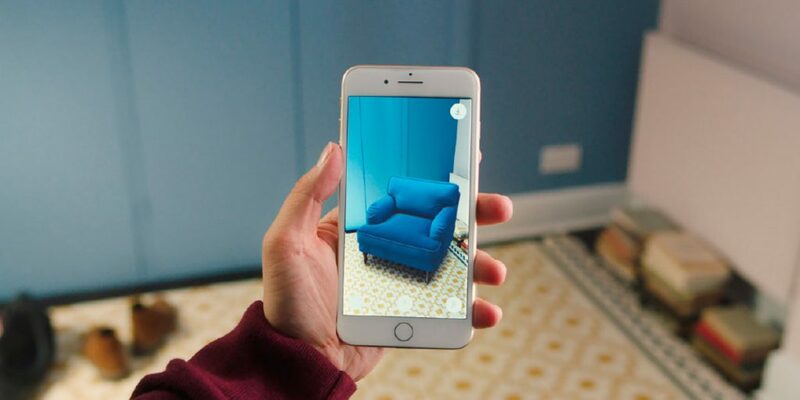 One is the Ikea Place app of course which makes use of the Augmented Reality technology and allows users from all over the world to browse through over 2200 furniture pieces in their catalog and buy anything they like. But before they do that, users can place these articles in their homes, offices, and other such settings and see how they look without actually buying it. The app generates 3D images of furniture, and then after scanning your room which you can see through the camera lens of your smartphone, it places it appropriately. It is a fantastic tool for those who are very picky about their furniture. Furthermore, it happens very often that a sofa or a table looks so amazing in the store that we completely forget about the dimensions of our room where we intend to put it. And so as a result, when we get the said article back home, we find out that it is either too big or doesn’t go with the rest of your decor. Ikea Place prevents you from making such a mistake. Other than the Ikea Place app, there is Ikea online solution which allows you to track your order and pick it up once you’re at the location. And the third digital solution which Ikea provides is the Ikea catalog, which is vast in front of Ikea online. How to create an app like Ikea? The process of creating an AR app is long and turbulent and will require a lot of dedication and planning. And thus, we have created a small stepwise guide which you can apply to your app and develop an AR app just like Ikea as well. The first step in the process is good research. Like any other app, an app like Ikea will require you to conduct long research. The reason why research is so important in this case is that it is still severely unchartered waters. While the technology is popular, a lot of app developers are not in any condition to be taking such projects because they just don’t know enough about it to deliver a satisfactory product. So you need to know as much as you can on your own before you hire a mobile app development firm to develop your Ikea-twin app. The technology itself- you must know as much about AR as you can. Competition- you need to study your competition. What are the things they are doing right and what are things that they aren’t. The idea is to adapt what impresses and improve what puts you off. Furthermore, you should also interview your competition’s users and see what they think about their app. And also, never underestimate the power of ratings and reviews at the bottom of their app store pages. Go over them to enhance your knowledge base. User- you need to decide on the type of users that you want to target. Every app has a target user base, and it is true for apps like Ikea as well. So research your users and see what the age group which will be directed towards your app the most and start finding things that would appease them is. Interviews- conducting live interviews with your user will help in getting a firsthand knowledge about their feelings toward an app such as this. They can also tell about the features that they focus on the most and the things that turn them off toward an app. Take their inputs very seriously. Trend-using a trendy technology and not following trends is basically wanting not to succeed in the market. Today’s world is ruled with trends, and you need to be on top of them. It is a great way of connecting with your users. Once you have performed sound research, you have your knowledge pool and are thus in the position to start laying down the details of your app. Put it down in one line! Trust me; it will not do you any good. So articulate the core motivation of your app to yourself. Now comes the part where you start putting your app together. You have the motivation, and you have the knowledge, so all that remains is planning. The first thing you need to come up with is a feature list. Allowing your users to manipulate the model on their mobile or tablet screen. Also, keeping the model anchored to one position so that you can move about and see how it looks at a certain place from all angles. Now that you have decided on the features, it is time to decide on some technical aspects of the app. There are mainly two major players in the smartphone game- Google and Apple. Android to this day remains the OS with more users than all the other players in the game combined. With a well over 85% market share in its pocket, Android is a darling to millions of users worldwide. But while Android has numbers, Apple’s iOS has quality. Apple’s 14% share is the cream of the entire market. The richest of the richest who can actually buy expensive things. So for an app like Ikea, we would recommend that you first go with an app for iOS, just like Ikea did. The reason is, as we mentioned it earlier, the paying capacity of the users. People using iPhones are more likely to buy expensive things than Android users. Furthermore, apart from your catalog, these users are not hesitant in buying in-app articles as well if they feel like they are worth it. On the other hand, Android has officially become the poor man’s gadget. I mean it’s not true everywhere, there are a lot of expensive Android phones in the market, and people buy them all the time. But still, the general feel of the market dictates that Android users are resistant in making big purchases. Nevertheless, you cannot afford to miss out on almost 85% share of the market, so you will need to expand to an Android app as well. Both Google and Apple have their very own AR development kits. Apple has got the ARKit which allows the users to develop apps like Ikea. For the sake of input, ARKit relies on visual inertial odometry and Core Motion. Google’s answer to ARKit is ARCore. While it does more or less the same thing as ARKit, it lacks somewhat in functionality. Because different makers use sensors from different developers, the ARCore is not that well calibrated with the sensors. While Apple, being the sole manufacturer, has linearity in its sensors. The other option that you have to develop an AR app is Unity 3D. It is a wildly advanced and powerful game development platform along with the added ease of drag-and-drop scheme of its UX. The final thing that you need to land on is who will develop your app- you or a firm. If you choose to develop your app on your own, then you will need to hire a team which will work on your app exclusively. But I will not suggest this for someone who is making their first app and also for someone for whom money is an issue. 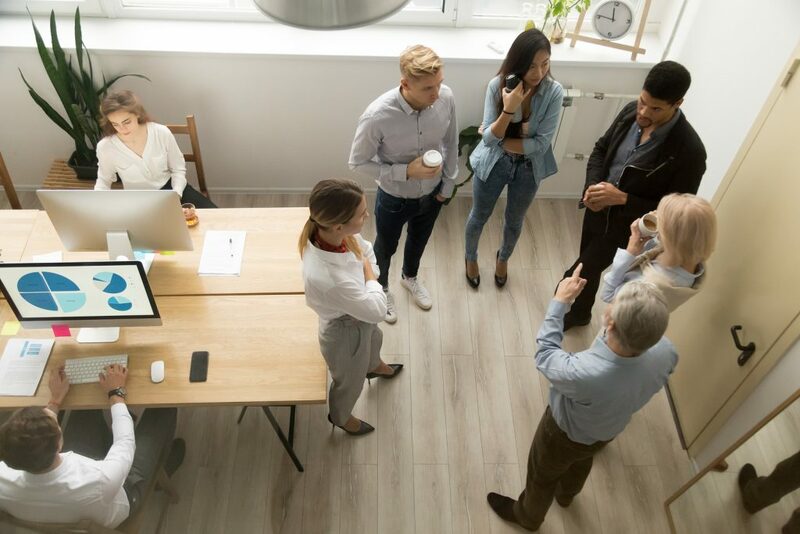 The reason being the fact that you will not only need to hire people and deal with all the other issues that go hand in hand with this task but also set up the infrastructure where they can work. All of it is just too much to handle for an amateur. And not to mention, too costly. If you’re thinking of hiring a mobile app development firm, then you have got a buffet of them in the market to select from. There are many inland and offshore firms that you can contact. But be weary, there are a lot of cons out there. Many firms are not equipped to take on your project, and yet they do, and that too at exorbitant prices and in the end will deliver a disappointing product. You can find legitimate developers using sites like Clutch. Most of these companies charge on an hourly basis. Before you hire a firm, make sure you get their reviews from their past customers and also check out their portfolios on their sites. Developing an app can be a scary task, but if you approach it with enough preparation and planning, there is nothing to be scared of. AR technology is still in its infancy, and a lot of sophistication is yet to come. So needless to say that the market is only going to grow and there is enough pie for everyone to get a piece. So tie up your laces and get cracking. ← How to plan your mobile app development in 2019?